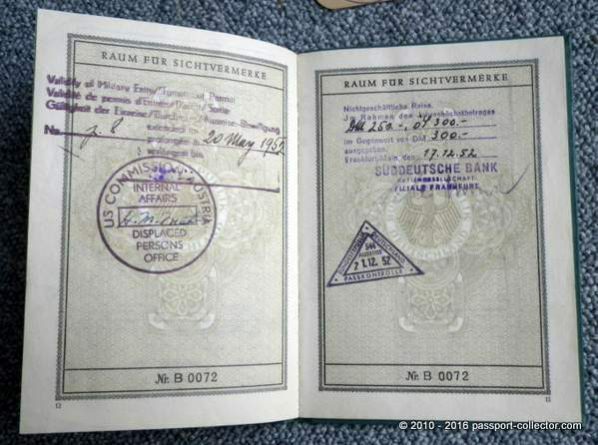 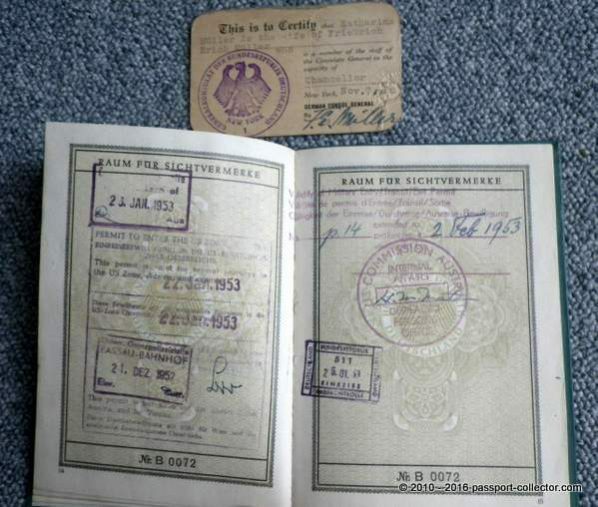 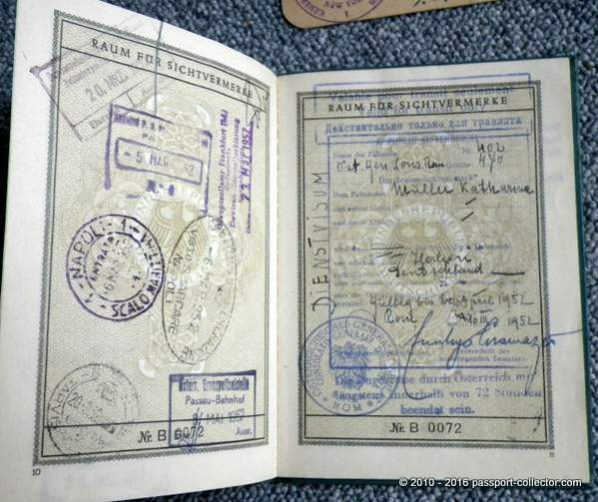 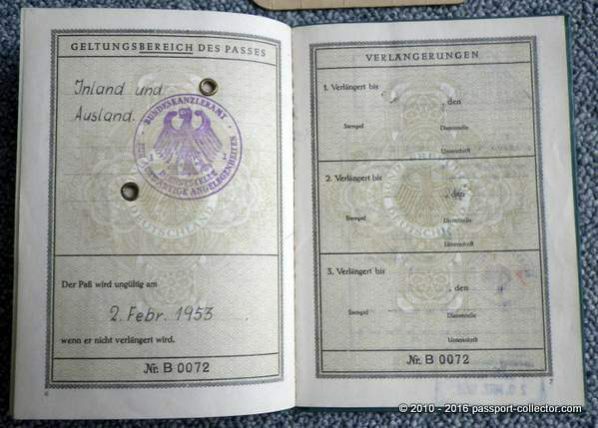 This passport is not only one of the earliest travel documents of Germany after the war it is also a rare passport type issued to the wife of German chancellor Friedrich Erich Müller, issued 3 Feb 1951. 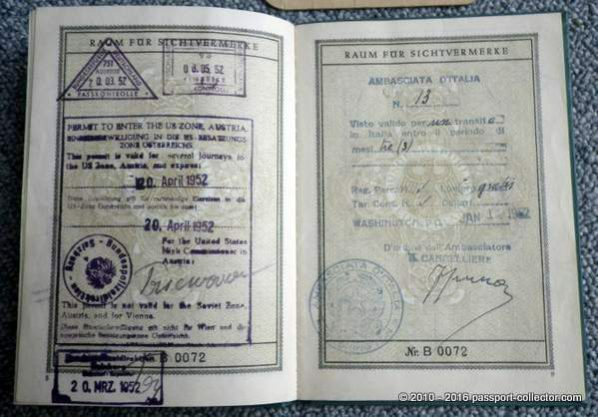 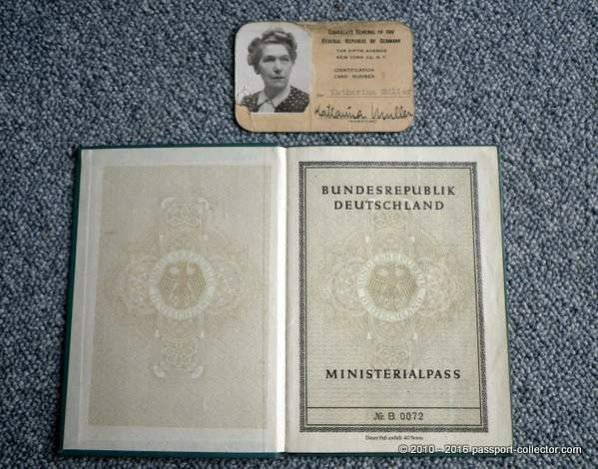 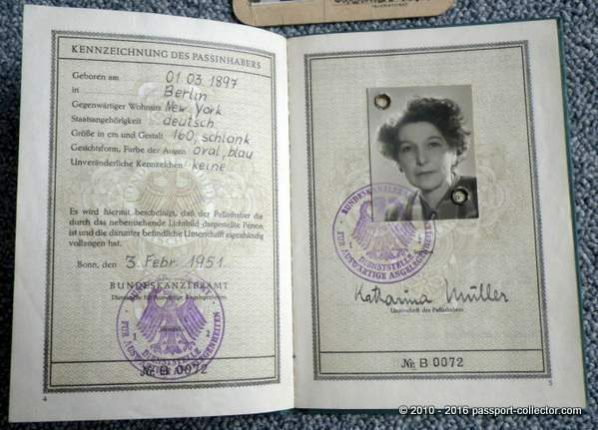 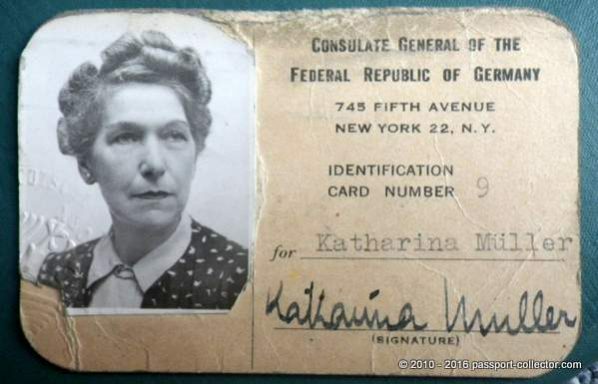 With her MINISTERIALPASS (departmental passport – a type of official passport but below an diplomatic type) was also a German consular ID card issued in Nov 1950. 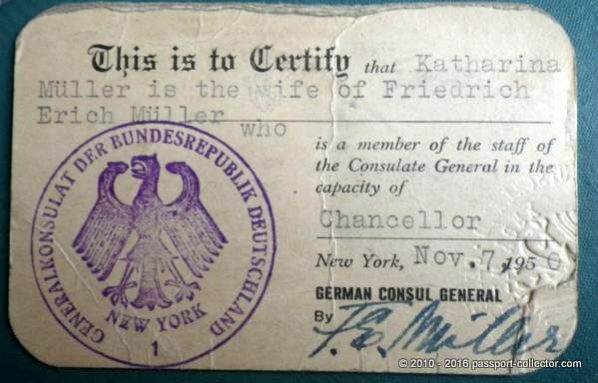 I couldn’t find out much about Friedrich E. Müller or his wife but this source of un-American activities is stating he was already a consular secretary 1941 in St.Louis. 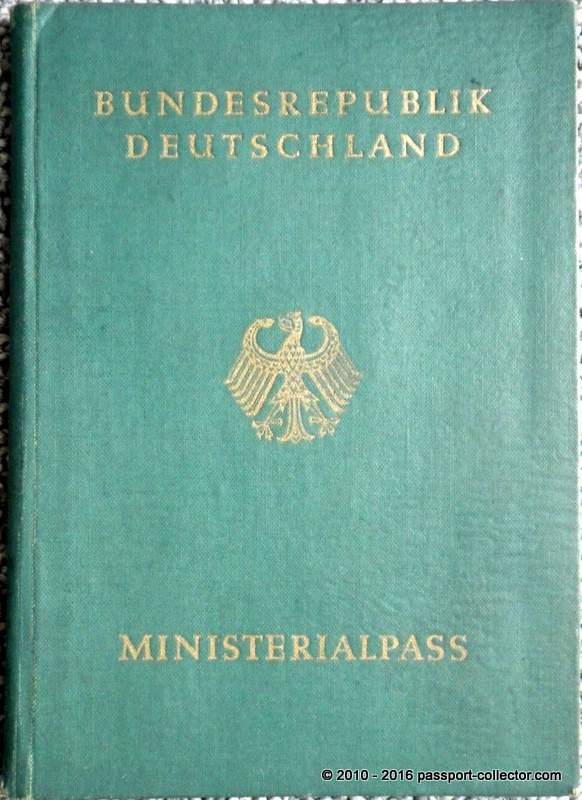 Indeed this is finest post war German history. 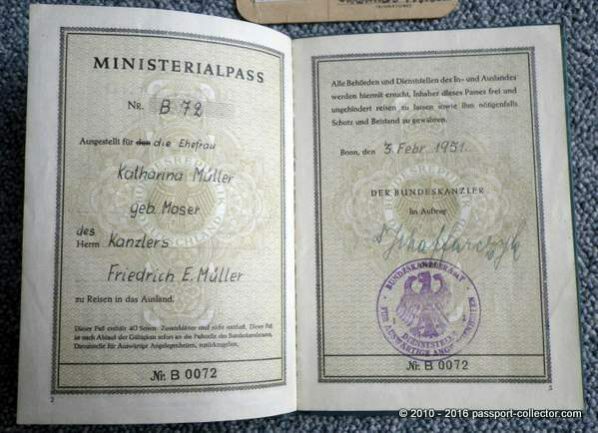 Unfortunately I couldn’t grab this treasure but I was lucky enough to save its data for my archive.